Today supports of Charlton Athletic and Blackpool unite outside of the Football League Headquarters to protest against their respective owners. The coalition against Roland Duchatelet (CARD) have called upon all football supporters to unite against what they see as unfit owners. 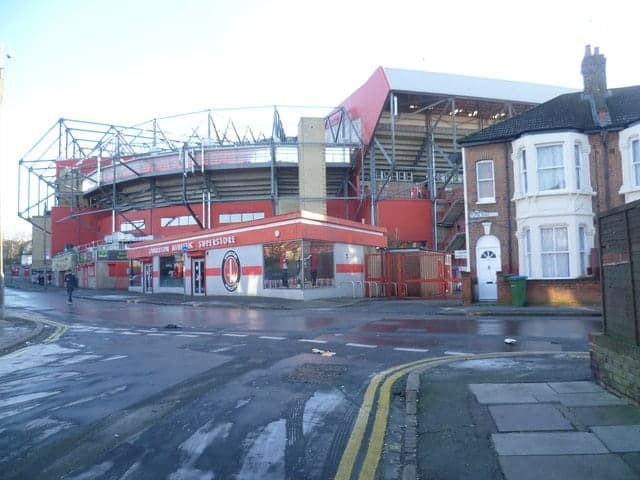 Charlton Athletic and Blackpool have both shared time in the Premier League over the past 15 years but a succession of mismanagement at Charlton and asset striping at Blackpool has left both teams floundering in the third tier of the football league. Last year a high court judge ruled that the Oyston family had asset stripped Blackpool to a value of £26 million, however the football league have done nothing to address this and continue to allow the Oystons to pull the club apart. Roland Duchatelet latest wranglings revolve around unpaid bonuses promised to staff and bottled water and breakfasts being cut at the training ground for youth players. These are just a few of the cost cutting exercises that Roland Duchatelet has brought in to lower expenditure in a desperate measure to offload the club. However his unrealistic valuation is unlikely to be met. Charlton fans have arranged a number of high profile protests in the past including a mock funeral attended by thousands of Charlton supports. Matches have also been stopped after a plethora of objects were thrown on to the pitch including miniature footballs, pigs and more recently packets of crisps. This is, however, the first time that Charlton have taken the demonstrations to the football league. Their message being, why are the football league not doing more to control rogue football club owners, what is the purpose of the ‘fit and proper persons test’ seeing that it has failed time after time and how many more clubs will fall foul of poor ownership until the Football League step in and take accountability? The protest gets underway by Charlton supporters at 12.30 at the football league head quarters at 55 Blandford Street and will be continued by the Blackpool supporters from 1500 at EFL House 10-12 West Cliff Preston.